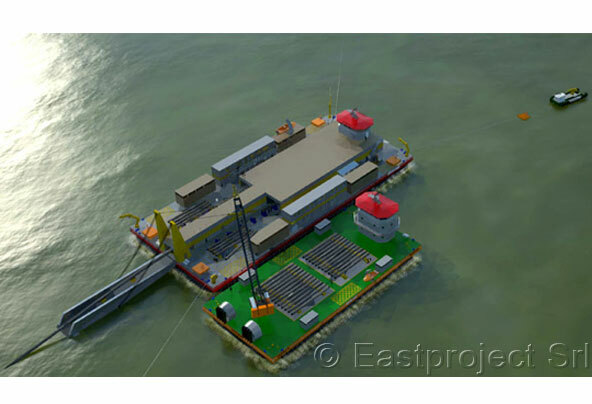 The most recent important project that Eastproject has completed, is the design and construction of a pipe lay barge which will begin to operate in the Caspian Sea in May 2010. 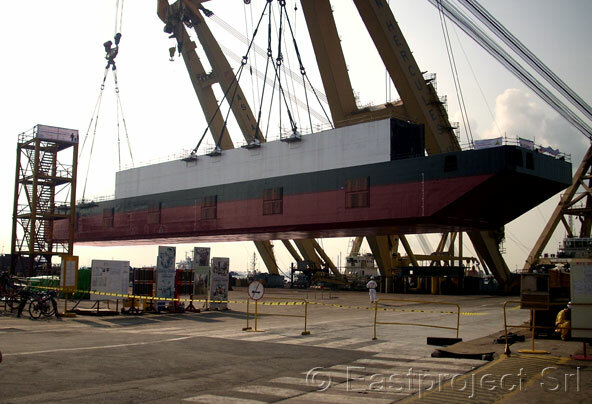 Construction of the barge has been carried out at the Keppel Shipyard in Singapore with the completion and joining carried out in the Caspian Sea. The barge was cut longitudinally and launched in two sections. Other than the maximum advisable width of 16.5, considerable limitations on the draught and air draught determined the exasperated compression of the barge along with engineering that had to give priority to the system and weight distribution on the two halves.Before the launch, the two halves were structurally prepared with gaskets to be able to wekd them whilst floating without using a floating dock. 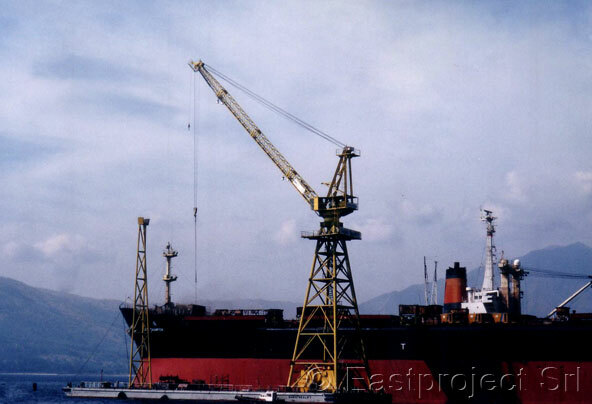 The two halves were docked on a semi-submersible at the port of Singapore and transferred dry to the Azov Sea, after which it was launched and towed to Baku through the Volga Don canal. After 22 months, according to the schedule, the new pipelay barge began operational tests to be able to calibrate all equipment for the new sea lines contract. 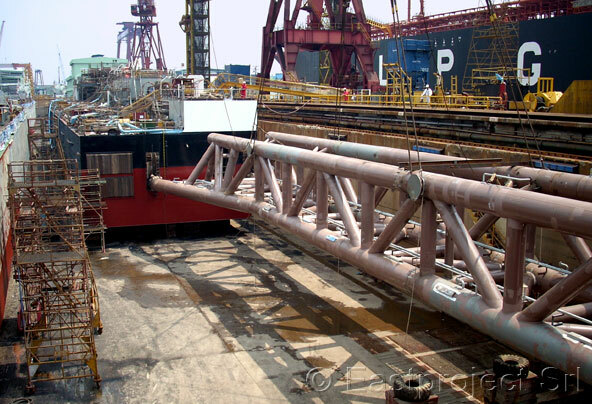 At the end of the season, the AmClyde, full revolving crane of 825 tons, will complete the pipe lay barge, allowing it to be the most performing pipelay/crane vessel operating in the Caspian sea. 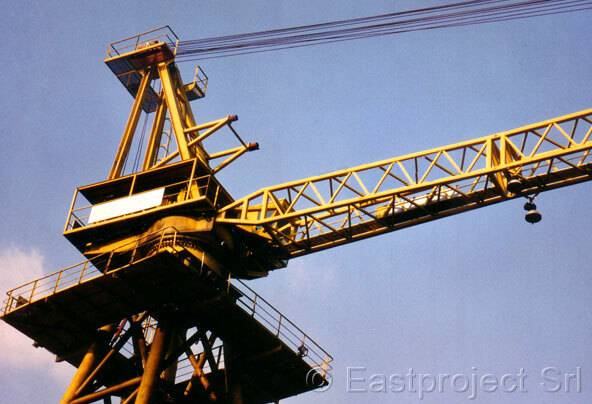 In the last six years, Eastproject has worked in shallow water operational aspects of the Caspian Sea researching vessels with very low draught and has developed an idea which is undoubtedly very advanced. 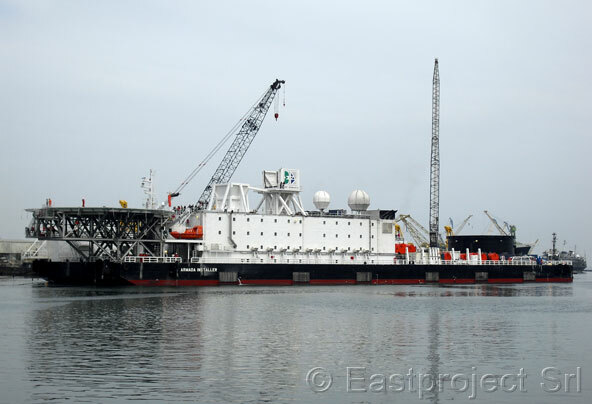 Eastproject has studied all support spreadable to support the pipelay barge during the moving and the support spread for shifting of personnel from the accomodation compound. 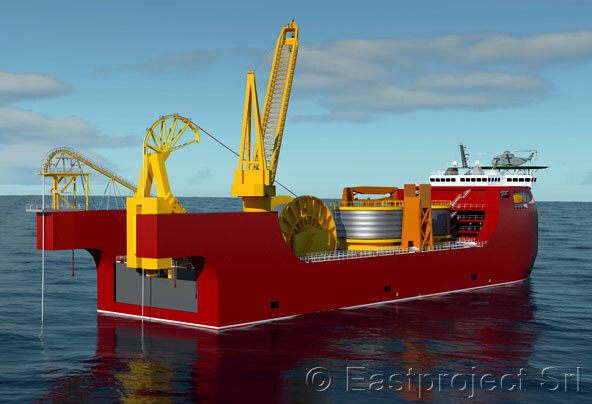 The pipelay barge will be fed by a supply air cushion feeder, able to move by its own blower at a speed of 5 knots. 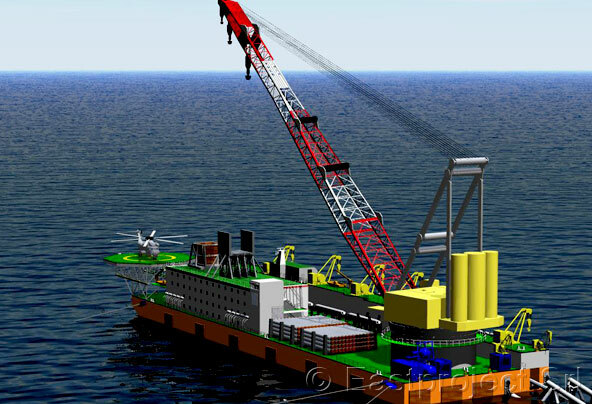 All pipelay spreads will be able to operate in very shallow water and swamp conditions. 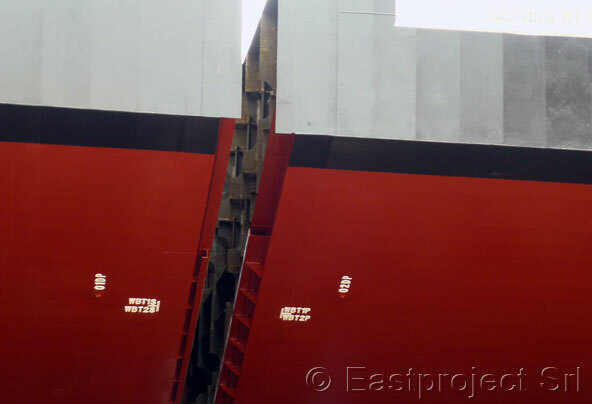 For over five years Eastproject has been working on an innovative vessel for which patent license has been deposited even in the United States. 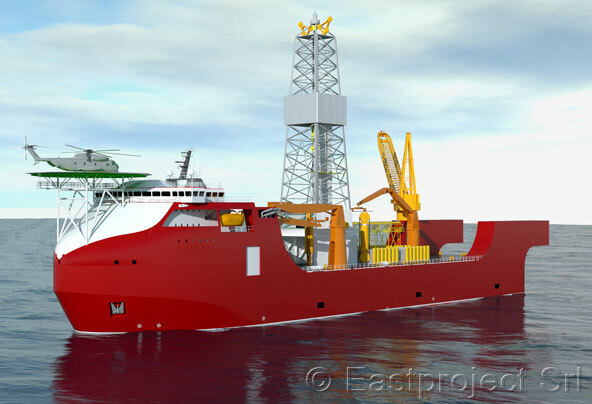 This innovative vessel will be able to operate in the offshore drilling sector and as a support cable laying and construction vessel, this is due to flexible change of the barge module inside of a mother dock vessel. The vessel spread is composed of a submersible mother vessel.